The Parsis are India's smallest minority community, yet they have exercised a huge influence on the country. As pioneers in education in nineteenth century India, and as leading figures in banking and commerce, medicine, law and journalism, they were at the forefront of India's industrial revolution. Parsis were also at the heart of the creation of the Indian National Congress in the nineteenth century and contributed some of the great leaders through into the twentieth century. This book, written by notable experts in the field, explores various key aspects of the Parsis. It spans the time from their arrival in India to the twenty-first century. All contributions are based on original research and most of them use hitherto unexplored primary sources. The first part of the book analyzes the topic of Parsi migration from very different points of view; the second part presents leading Parsi personalities of the nineteenth and twentieth centuries. The final part is a set of studies of the Parsi traditional community in Bombay and an examination of three different diasporas. 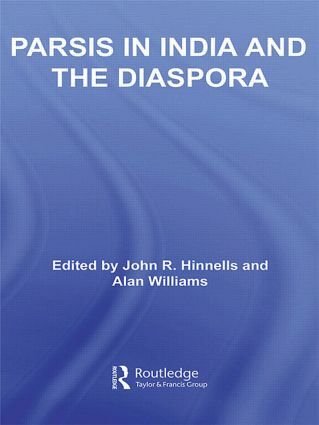 The concluding chapter, by John R. Hinnells, shows the range of contributions of Parsis to modern India and also in the diasporas, where the Zoroastrian religion is practiced in more countries around the globe than at any time in its history of more than 3,000 years.